Nurturing environmentally responsible choices is fun and impactful! Are you looking for an exciting program to promote your school’s green initiatives? You’ve come to the right place. 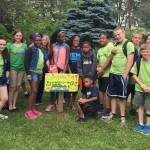 We partner with schools throughout Michigan to help students recognize that their eco-friendly choices make a difference. Not sure which program is right for you? Call us at (248) 840-0248 to discuss your goals and we will customize a program to set your students up for success! Whether you are a school, business, library or camp, our programs are tailored to meet your green initiatives. We inspire kid-specific solutions for leading an eco-friendly lifestyle. PLP promotes important of healthy eating choices. 1. NEW! Food Appreciation and Healthy Eating Details (Grade K-3) Across the board, from health professionals to policy makers to concerned parents, we are realizing the importance and need for our children to be educated about real food and nutrition. What better way to do this than through a hands-on approach in your school garden! 2. Important R’s: Reduce, Reuse, Recycle, Respect Assembly Details (Grades K-8)This engaging, 50-minute program is designed to help students understand the importance of eco-friendly choices by providing kid-specific solutions. 3. 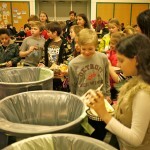 Cafeteria Trash Sort Details (Grades K-8)Your cafeteria is the ideal classroom to foster awareness about Earth’s resources and promote healthy, waste-free alternatives! Engaging and gross, cafeteria sorts develop an understanding of personal consumption and inspire eco-friendly choices at school and home! We understand that groups vary, and can easily adapt programs to fit your specific needs. Please contact Gina at PLP_Gina@me.com with specific questions. Thank you for visiting Peace, Love & Planet! We look forward to working with you!